Lush Haul ~ $34.45. Mmmm... Lush Hauls are my favorite. I was very excited about the Christmas collection from Lush that I had to set myself a limit on what I could get and try (otherwise I could have picked up everything!!!) But, I forgot to add my cute little snowman bubbleroon in here! 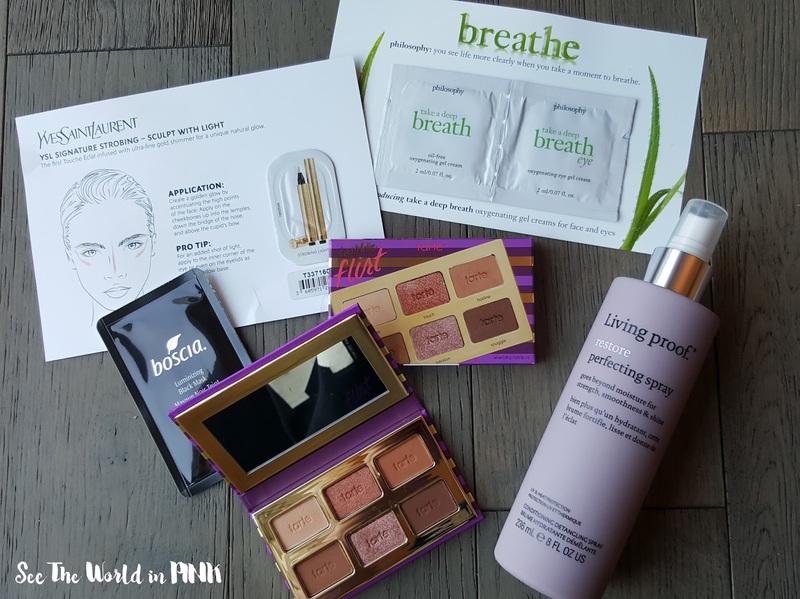 For my review on everything - I featured everything on a Skincare Sunday post you can see here! Also, all those samples are from knowing the Lush staff - woo hoo! Drugstore Dry Shampoo ~ $2.60. I'm currently using another dry shampoo that is so bad, that I had to pick up a different to try! I have loved another Herbal Essences Dry Shampoo before from their Naked line (made my June 2016 Favs!) so I just got this picked up in my online grocery order and I think an Orange and Mint smell is a little weird but we'll see! The price of these is so good! Nail Polish Remover ~ $4.20. Okay, another Superstore grocery shop add on (have I ever mentioned how much I looooove online grocery shopping and just picking it up - I never grocery shop - nope!) 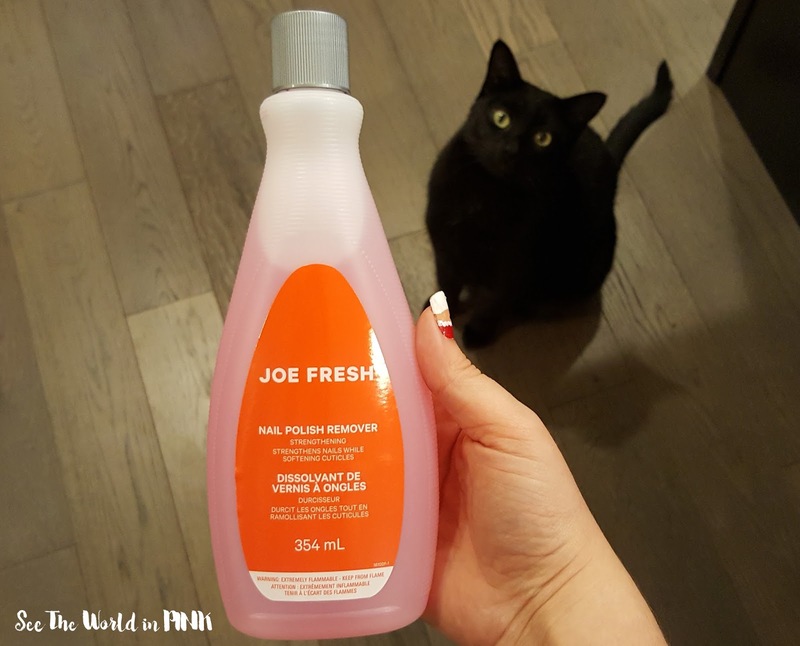 But, I'm so sad - I loved the old Joe Fresh polish remover bottle because it just had a small hole for the product to come out of, not a huge opening where it pours out of. But, they just changed that, ugh. So, for December I spent $103.20 - what?! I stayed on budget! Okay, sooo this isn't including my 1 boxing day purchase because it doesn't ship until January so we won't speak of it! I am with you on not doing the grocery shop though sometimes it's just unavoidable, but at this point I have Amazon delivering chips, paper towels, toilet paper and cat food right to my door. It doesn't get better than that! 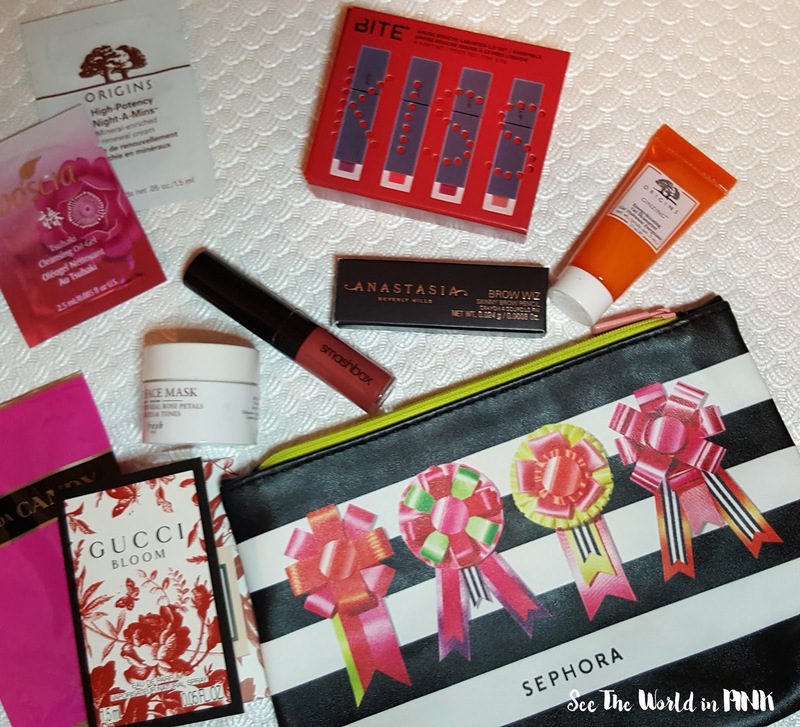 I loved the Lush Christmas collection as well and picked a few of the same things you did as well! Oooh... I need to use Amazon more for that stuff! :) And, yes to everything Lush does for the Holidays!